As an Honors Scholar and a student-athlete, Emily Skoglund, ’20, has made an impact on and off the volleyball court. At Meredith, the Asheboro, N.C., native has discovered her passion for helping others. Emily has been actively involved on campus, participating in the 2018 Emerging Leaders Seminar Series, serving as co-chair for the 2017 Spring Guardian Angel Formal, and being a part of Alpha Lambda Delta Honor Society and the Meredith Health Professions Society. When Emily arrived at Meredith she intended to major in biology, but an inspiring interaction with Associate Professor of Psychology Gwynn Morris and taking Honors Introduction to Psychology moved her to change her career path. 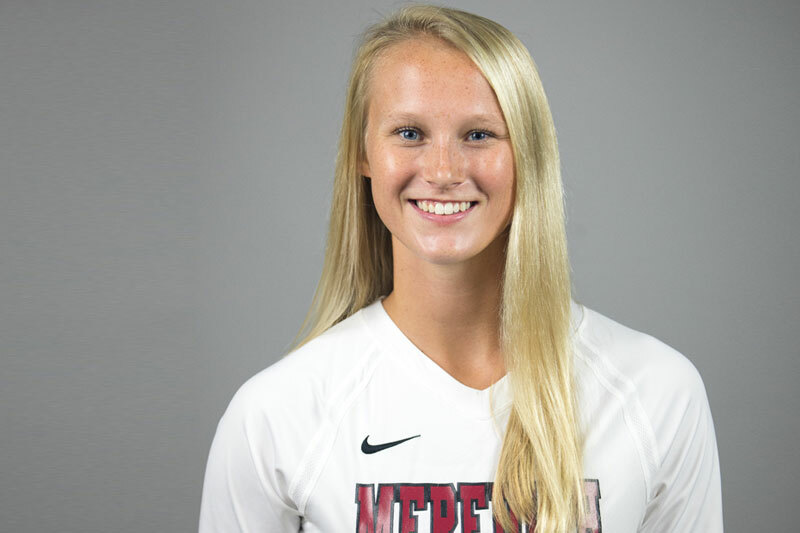 Outside of academics, Emily has contributed to the success of the Meredith volleyball team. As a defensive specialist on the court, she has added several athletic accomplishments to her resume. She is a two-time member of the USA South All-Academic Team and the AVCA Team Academic Award. Emily also helped lead her team to a 2016 USA South Tournament Championship title, which led to an NCAA Tournament appearance. Individually, she was named a 2018 Meredith Scholar-Athlete and a 2017 Meredith Scholar-Athlete - Athletic Director’s Club honoree. When Emily graduates from Meredith she plans to continue her love of helping others by attending graduate school for occupational therapy.